Part Chicago bus tour, part pizza party: it’s a pairing as perfect as spinach and spicy Italian sausage. And speaking of pairings, this Chicago pizza tour offers a boozy bonus by complementing your slices with the right wine, craft beer or cocktail! Travel past sunset without worrying about a designated driver. On the three-and-a-half-hour Chicago bus tour, you’ll make your way to three pizzerias and dig into unique slices, refreshing libations and sinful deserts! 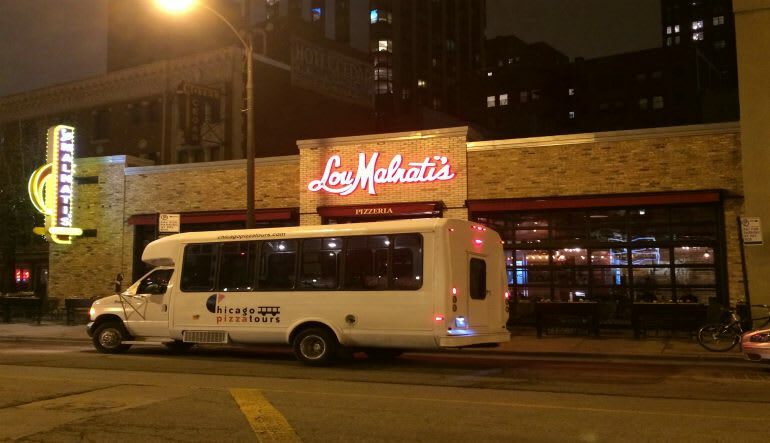 Hop on the pizza bus for your evening Chicago pizza tour! 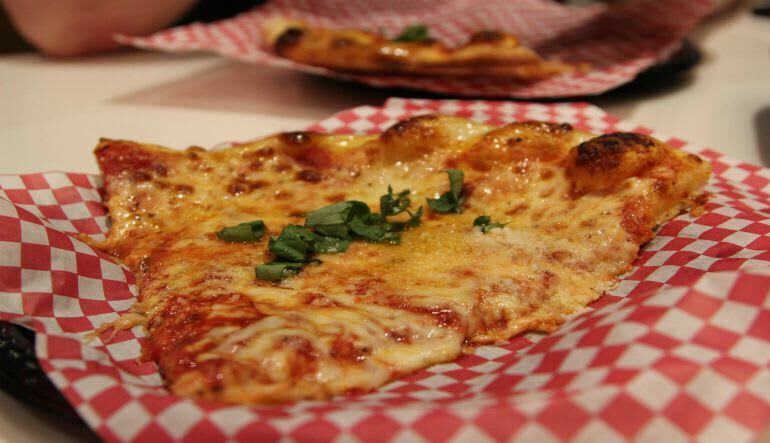 Travel to three different pizza spots in different neighborhoods. Dig into a number of Chicago slices, each one paired with an alcoholic beverage. Bring a big appetite—the tour also includes desert! Pop into the kitchens to discover what makes Chicago pizza so special. 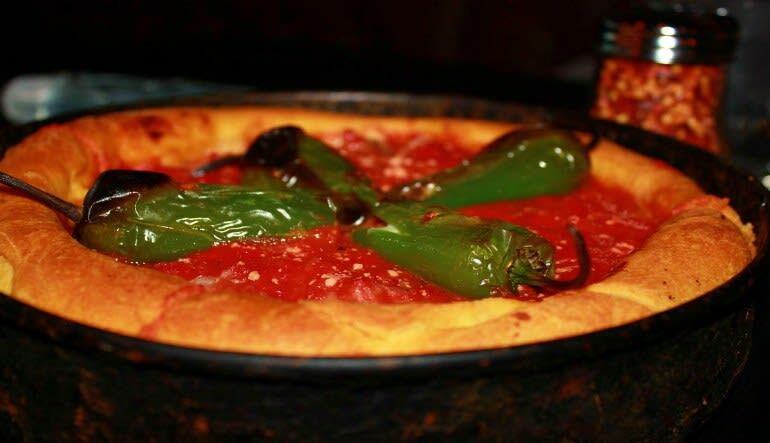 This pizza tour is a great way to get acquainted with Chicago’s colorful neighborhoods. Each area has its own special vibe and particular pie! Deep dish is definitely on the menu but so are some other varieties that range from chewy and gooey to the more traditional Neapolitan-style. Hungry yet? Book your excursion now!